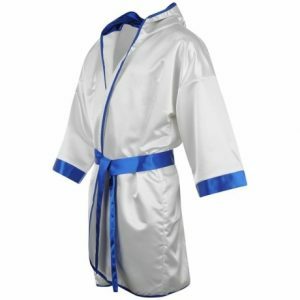 All custom-made Boxing Robe is designed to your specified measurements and colors. 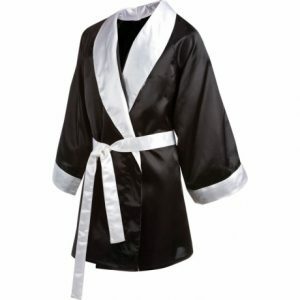 Extra rich and luxurious satin with professionally tailored seams and craftsmanship. Complete with hood, pockets, belt, and custom tailoring. Full length for that professional look and style. 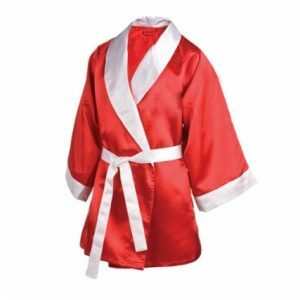 Boxing Robe design to match your trunks, etc. Made with a new wider sleeve opening to allow for easy on-and-off use. 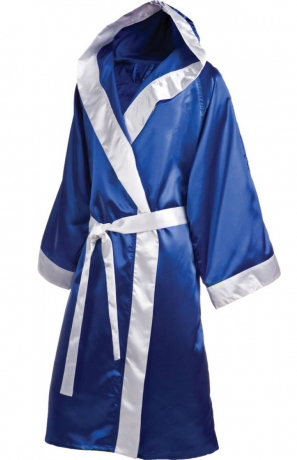 Increased shoulder width allows for more freedom and a better fitting robe.